Last December we asked for input from parents and guardians regarding vacation preferences for Christmas 2016. Thank you to everyone who completed our survey and the schools, councils and individuals who helped to share this survey with others. We received over 6700 responses! WOW!! As you can see below, there was an overwhelming preference for Option 2: vacation from Saturday, December 24 to Sunday, January 8. In January, we provided these results to the OCSB Calendar Committee which collected feedback from all OCSB stakeholder groups. There was also consultation with our co-terminus board, the Ottawa-Carleton District School Board, with whom we share school bus transportation. Last Tuesday, the Board of Trustees approved the proposed OCSB school calendar for 2016-17. 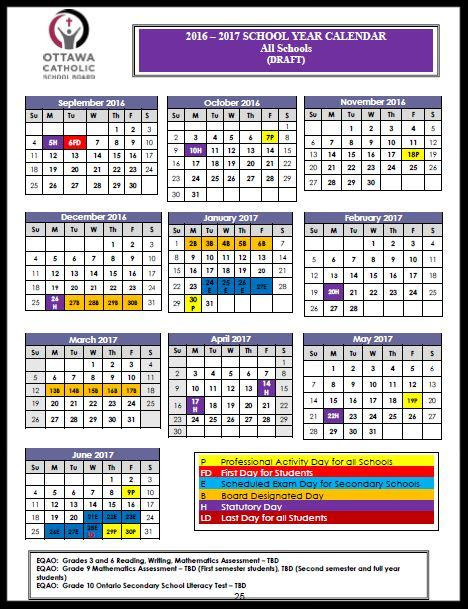 This proposed calendar features a later Christmas break, as preferred by parents/guardians and has the OCSB elementary and secondary PA days all occurring on the same days. The calendar dates cannot be considered final until they have been approved by the Ministry of Education. A response from the MOE is expected in the spring. Again, thank you to everyone for your interest and participation. Our grade 7&8 parent-teacher interviews will take place on Thursday, February 25th. There will be an early dismissal at 1:30 pm on February 25th for all students grades 7-12. The times for interviews are 2:00 to 4:00 and again from 5:00 to 7:00 pm. Booking interviews will be done online through the You Can Book Me site, https://allsaintshigh1.youcanbook.me/. The link on our website will become active at 5:00 pm on Friday, February 19th. Please note interviews are 10 minutes in length and parents are asked to request a maximum of one interview slot per teacher (even if the teacher teaches your child more than one subject). We are continuing our dialogue around our Lenten journey at All Saints. 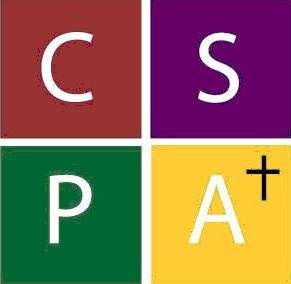 Students and staff are encouraged to become “active” participants in the Lenten liturgical season. This includes recognizing the expectations during Lent and working these into our daily lives. You can access a video here that explains the reality of fasting in student friendly language. Congratulations to all who were involved in the publication of the “All Saints Spectator”, - the student and staff produced insert in the Kanata Kourier-Standard this past week. If you don’t have the paper delivered to your home, you can access it here. Thank you to our Writer’s Craft students and their “editor” Ms. Pignat for their work in putting these stories and photos together. To confirm your attendance, please RSVP by e-mail: cpo@ottawa.ca or leave a message at 613-580-2424 ext. 25393. If you require special needs accommodation, please advise upon registration. To all parents of Grade 10 students, and previously eligible Grade 11 and 12 students, the Ontario Secondary Schools Literacy Test (OSSLT) will be taking place this year on March 31, 2016. The Council of Ontario Directors of Education has published a Mathematics resource for students in elementary and intermediate schools entitled "Insipring Your Child to Learn and Love Math". This Parent Tool Kit consists of five modules, each with its own set of resources, support materials and videos: Module five focuses on Intermediate students (Grades 7 and 8). To access the resources, please click on this link.